Adding text and/or a design to the back of this glass is $12.00 each. If you don't want a text or design on the stopper, you can ignore this section. Adding text to the stopper is $12.00 each. Please select from one of the optional designs above or enter a single letter. 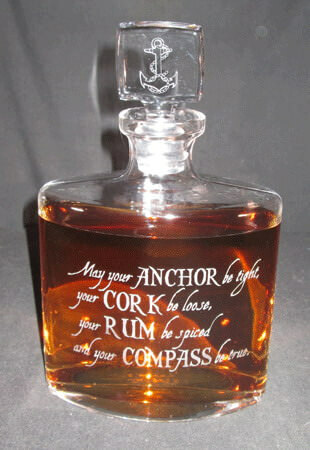 The Whitney Whiskey Decanter is manufactured by Badash.